Do You know about Teak Wood? Categories : Do You know about the Teak? 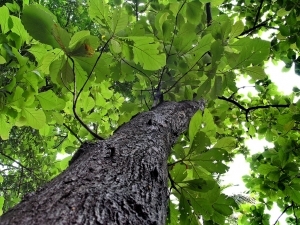 Native to India and Myanmar, Teak, is a slow-growing tree with a brownish gray bark, a spreading crown and opposite leaves that can be 50 cm long and 23 cm wide. It generally does not grow in coastal areas but prefers low hills below 1,000 mt. It produces a drupe fruit (fleshy with stony seed) and its wood typically retains a strong and aromatic fragrance.